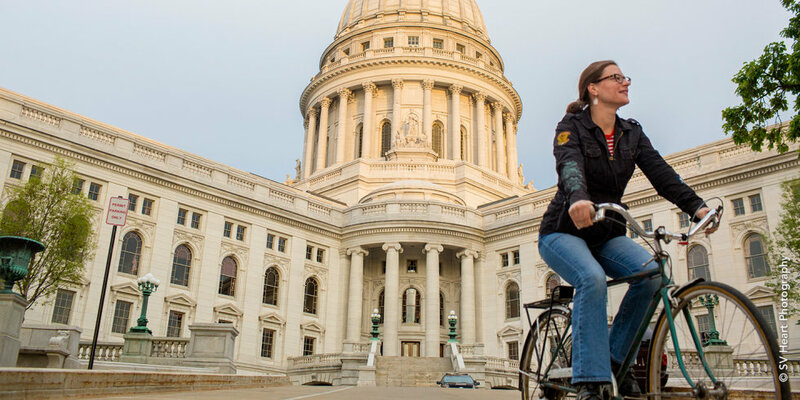 Situated between two lakes on the city’s isthmus, Madison’s State Capitol building is an architectural icon and a bucket list item for any visitor. 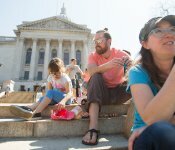 This year marks the Capitol’s 100th birthday, and to celebrate we’ve compiled a lookbook of inspirational to-do’s. 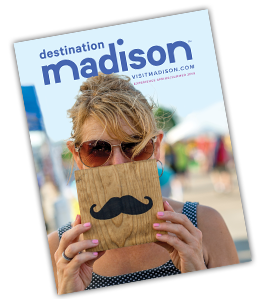 The square is the central hub of Madison and perhaps the best place to get a sense of Madison’s culture and personality. 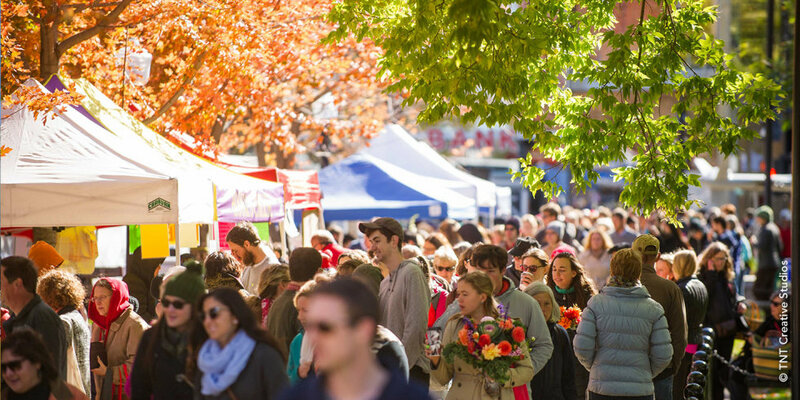 The lively ambiance is best exemplified by the people-watching—check out local artists as they perform acrobatics, play music, or sell local goods like jewelry. 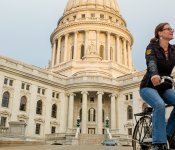 Perhaps the best way to the Capitol Square is by bike. 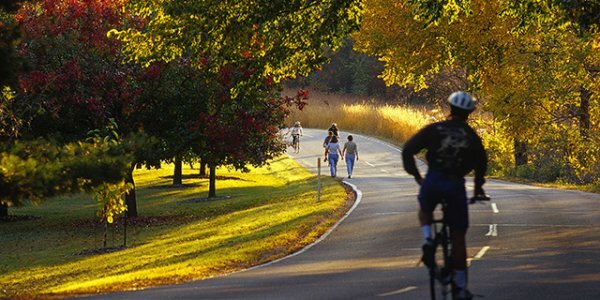 Our city has more than 200 miles of trails available, including city paths that lead straight to the Capitol. You can also rent a bike from BCycle, an urban bike-sharing program that has five stations near the Capitol. The Capitol building and 13.5 acres of surrounding grounds is the world’s largest playground in the eyes of a child. 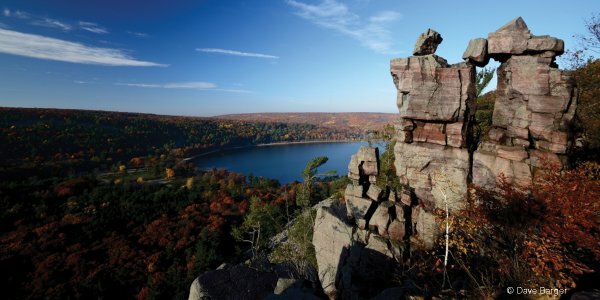 Kids love running up and down the steps, balancing on the (wide) granite ledges, and flying kites in the grass. 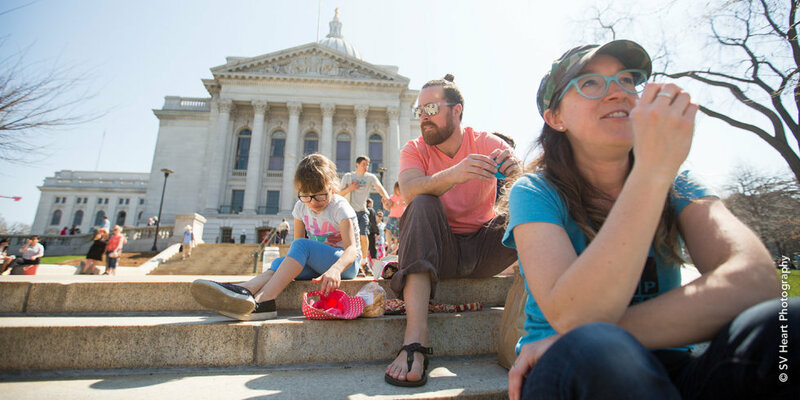 Finish the best day ever with a visit to a nearby ice cream shop on State Street. 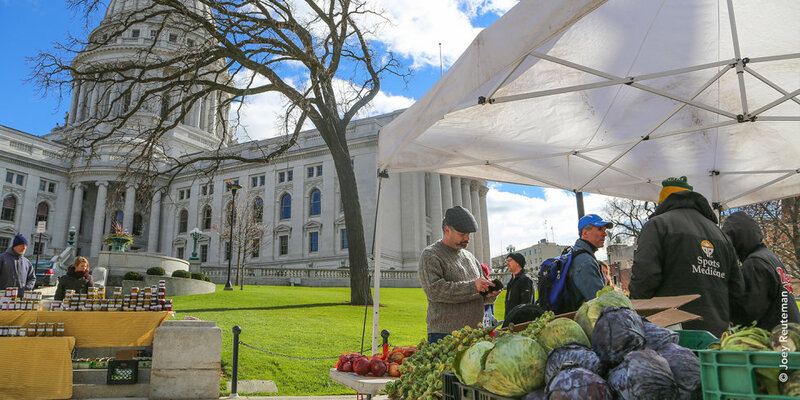 The Dane County Farmers’ Market surrounds the Capitol Square and is a Saturday morning staple. 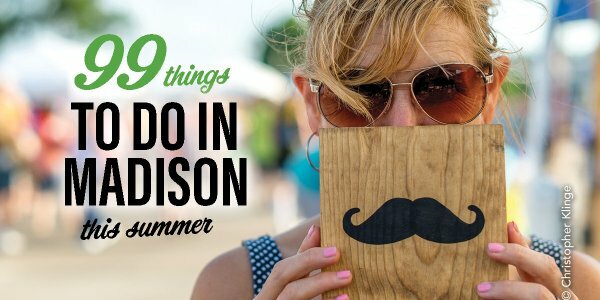 More than 160 local vendors are on-hand selling everything from honey to meats and cheese. Plus the produce! 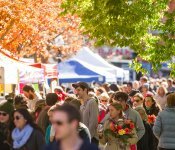 Beginning with morel mushrooms in the spring and ending with sweet corn in the fall, this market is a must. 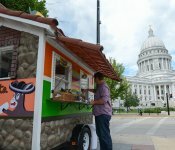 Madison’s ranking as one of the “Ten Best Cities for Food Trucks” is no surprise to locals, who can find street eats on the Capitol Square on a regular basis. 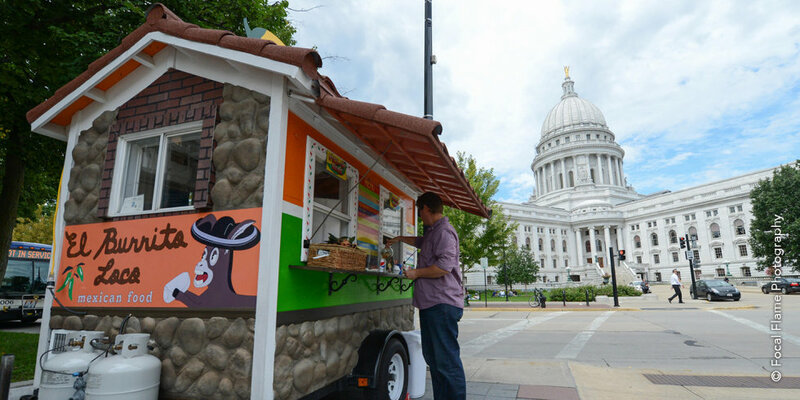 The area’s food carts take the fresh ingredients and create dishes that often reflect the owner’s own heritage. 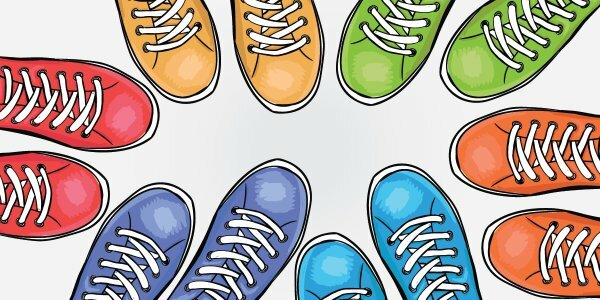 Best to take a walk around the entire square before settling on one! Dogs deserve sunshine too! 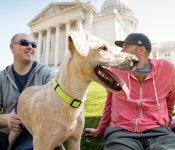 Feel free to bring your furry friend to the Square. 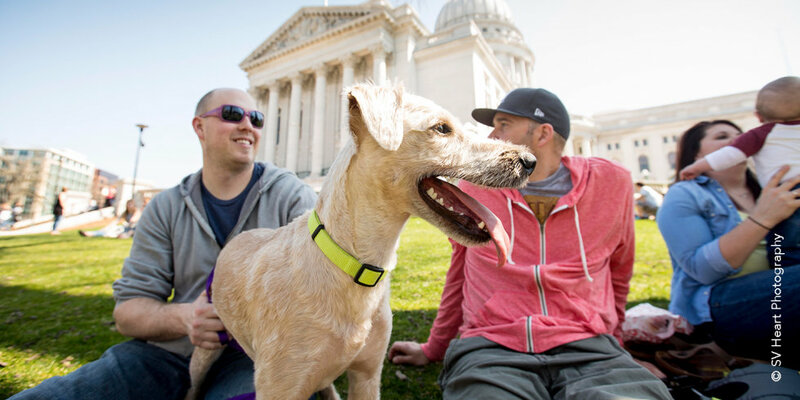 The lawn surrounding the Capitol building is open to the public and residents love to soak in the sun with family, friends—and four-legged friends regularly. 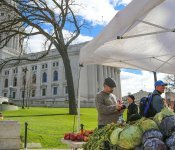 One exception to this rule is during the Dane County Farmers’ Market, which restricts pets for safety reasons. 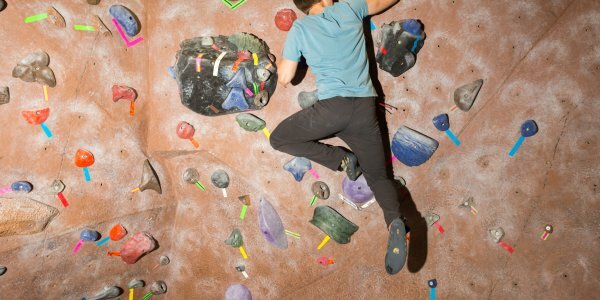 Indoor action for every age awaits in Madison!